The $55 kit includes one of C by GE’s Bluetooth smart bulbs pre-paired with a Google Home Mini. 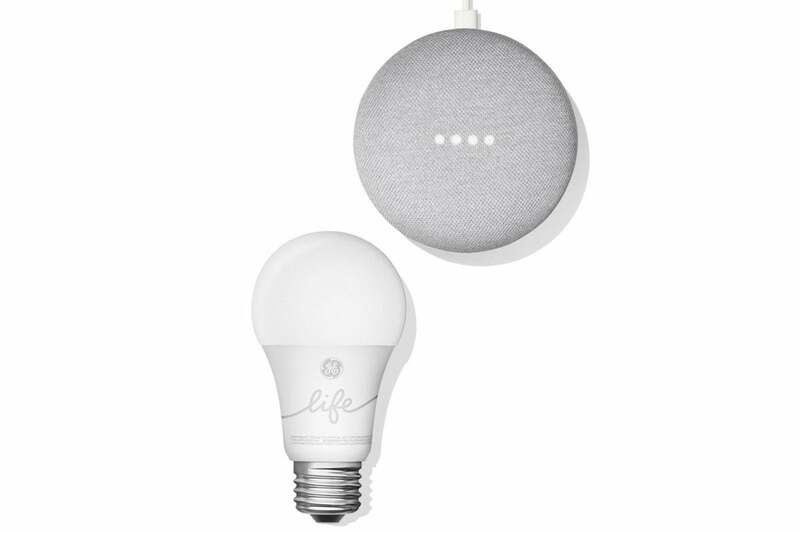 GE Lighting’s C by GE smart lighting division has announced a new bundle that features one of its C-Life smart bulbs pre-paired with a Google Home Mini for $55. That’s less than the price of the two products purchased separately. C by GE took a much different tack than other smart bulb manufacturers when it chose Bluetooth as its control protocol instead of ZigBee (like Philips Hue) or Wi-Fi (like LIFX). That decision eliminated the need for a hub, because you could control the bulbs with your smartphone, but it also meant you needed a Bluetooth-to-Wi-Fi-bridge—the C-Reach—to control them by other means, such as with Amazon’s Echo smart speakers. The bridge costs $50 on Amazon, or you can buy it in various bundles with C by GE smart bulbs. When you add C by GE smart bulbs to your home, the Google Assistant will automatically detect and configure them, so that you can say the “Hey Google” wake word to turn the bulb on and off, dim it, or execute lighting routines. You’ll also be able to set up both lighting routines and lighting schedules and remotely control the lights directly from the Google Home app from wherever you have internet access, so you won’t need to switch between apps. C by GE offers two types of Bluetooth smart bulbs, both of which look very much like traditional incandescent bulbs. The C-Life bulb that’s bundled with the Google Home Mini is dimmable, but its color temperature is fixed at a warm 2700K. It produces 800 lumens of brightness at its highest setting. The C-Sleep bulb offers a “follow the sun” feature that can automatically change its color temperature according to the time of day. You can start your day with an energizing cold light, transition to a more neutral color in the afternoon, and warm to a more relaxing color in the evening. The C-Sleep is slightly brighter, offering a maximum of 850 lumens. The C-Life bulbs have come down in price considerably since we first reviewed them in 2016. 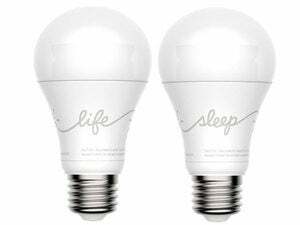 A two-pack (one C-Sleep and one C-Life) sells for $19.99 on AmazonRemove non-product link, while a four-pack (two of each bulb) costs $74.99. Existing C by GE smart bulbs will gain Google Assistant compatibility on October 22.